We just wanted to let everyone know of the following closures due to the holiday coming up and a personal day here. 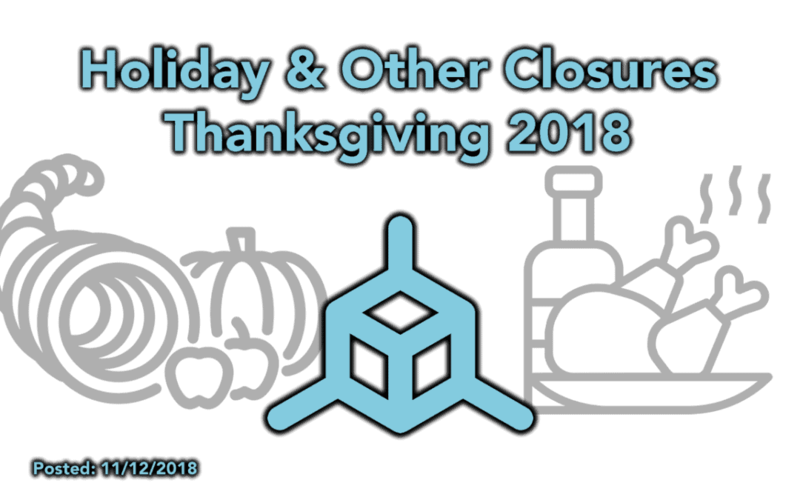 Thanksgiving Closure will take place from 11/21/18 – 11/25/18 – All TH3D services will be closed for this closure. Orders placed through 12PM CST on 11/20 will ship prior to Thanksgiving. Orders placed after that will be processed in the order in which they were received the following week. Another Other Closure – 12/7/18 – only orders will be impacted, support will not. Orders placed by 12PM CST on Thursday 12/6 will go out on 12/6 but after will ship the following Monday as Samantha has to take care of some personal items on Friday all day.